Noah "Shark" Robertson (born July 28, 1983 in Oregon City, Oregon) is an American drummer. His healthy obsession with sharks and raw aggression on stage have earned him the name, "The Shark". He has an extensive background in music education and possesses years of commercial music experience as well. He is known for his work with Metal/Electronic band The Browning (Earache/Century Media Records), Pinhed, and Srlsm. Noah now drums for metal band Motograter. 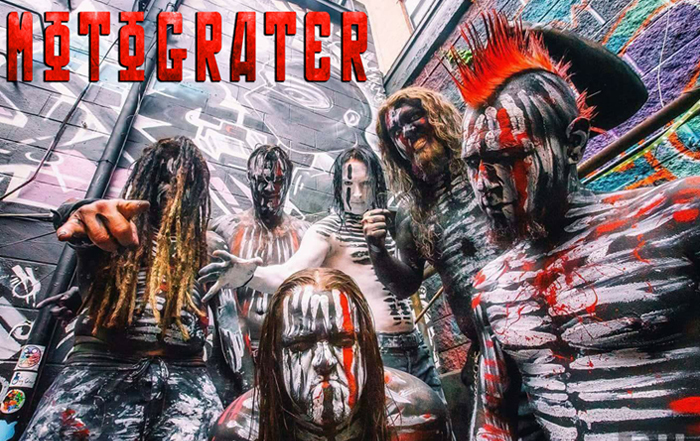 Motograter has toured with Ozzy Osbourne, Korn, Marilyn Manson, Chevelle, Disturbed, Ministry, Nothingface, Kittie, Mushroomhead, Cradle of Filth, Killswitch Engage, Chimaira, Shadows Fall, Voivod, and many more. When not touring, performing, and recording, Noah provides private drum instruction and has been teaching since 2001. On July 28th, 2011 he launched the Independent Record Label, Swimming With Sharks Records and has been booking and promoting under the moniker, Swimming With Sharks Entertainment, since 2004. Noah endorses Tama Drums, Dream Cymbals, Xcel Drumsticks, and MEE audio.